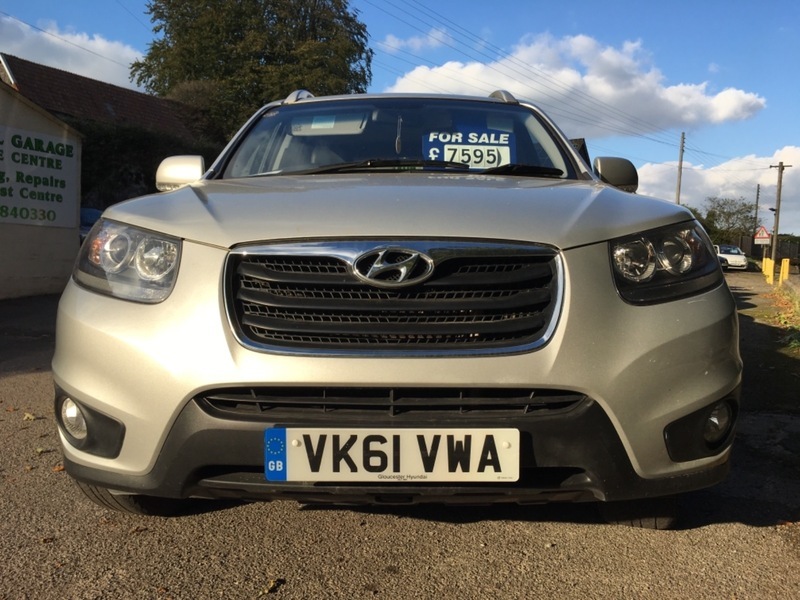 61 registration HYUNDAI SANTA FE PREMIUM 2.2CRDI ONLY ONE OWNER FROM NEW WITH FULL COMPREHENSIVE SERVICE HISTORY WITH Invoices , SEVEN SEATS FULL LEATHER SEATS, alloy wheels, climate control, more details and photos to follow car has just arrived. Genuine vehicle! full service history pack. Drives superb. Hyundai will be sold with a new mot and service plus our warranty included ,and 12 months AA BREAKDOWN COVER INCLUDED IN SALE.